On October 26 2016, final press conference was held regarding successful completion of the Project “Capacity strengthening in Montenegro in the event of incidents at sea” which was financed by Ministry of foreign affairs, Kingdom of Norway. Project is worth 2 600 000 NOK or 260 000 EUR. Environmental protection, including sea, has a special importance and it is one of the main problems globally. Rapid development of nautical and cruise tourism in Montenegro increases the risk for various types of incidents at sea. Montenegro has established legal and institutional framework and National plan for emergency response in case of marine pollution from vessels and defined response system in case of oil spills, as well as role and responsibility of competent authorities and institutions. Objective of the Project was to contribute strengthening of professional and technical capacities of the important factors in the in the implementation of the National Plan for emergency response in case of marine pollution from vessels. On that way risk of possible spread of pollution caused by incident is reduced. Project coordinator is Center for ecotoxicological research LLC – CETI. 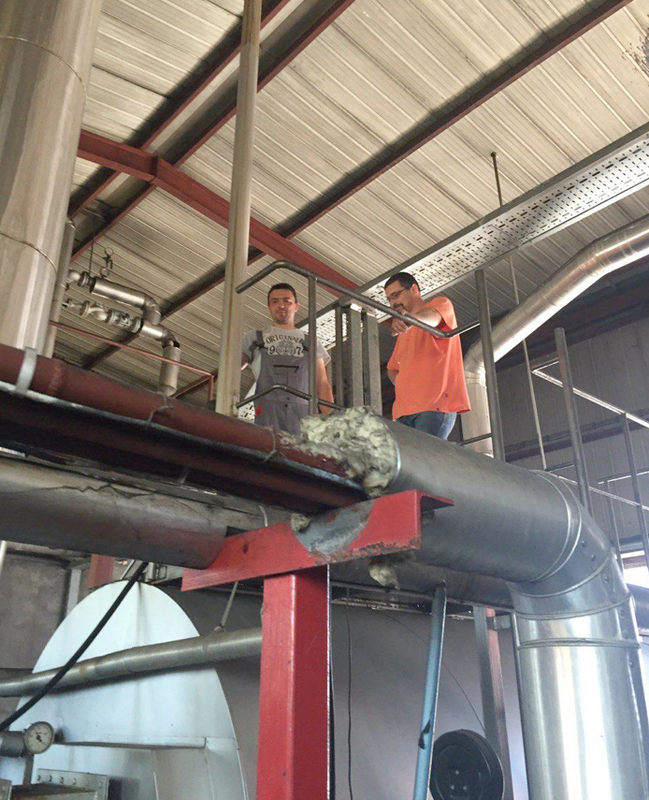 CETI carried out all procurement, organized trainings for other institutions for sampling in cooperation with partners on the project, organized training in the reference center in EU and coordinated all planned project activities. In the implementation of the project were also included Navy of Montenegro and Environmental protection agency (EPA). Within this project equipment for laboratory testing grades of oil was purchased, as well as other chemical agents, standard reference materials and chemicals, equipment for sampling and analysis in the field, and dispersants (liquid mixture of agents that act on the surface of one or more organic solvents and which are specially formulated for the promotion of natural dispersion of oil in the water column by reducing the interfacial tension between oil and water). 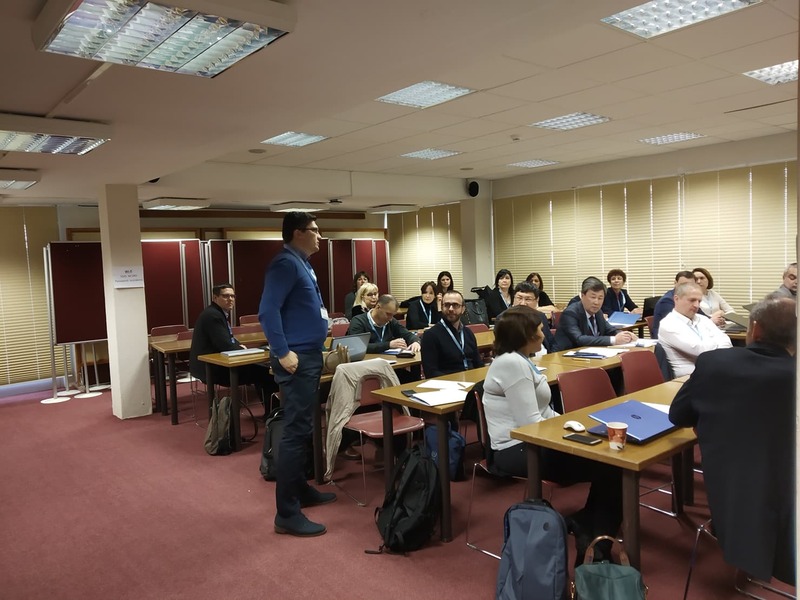 In order to strengthen the professional capacity of relevant institutions workshop was organized for the participants of the project in a reference center in the EU (Great Britain). Also CETI has organized training in Kotor harbor master’s office regarding presentation of field equipment – equipment for sampling and measurement of pollution and training for managing the equipment. 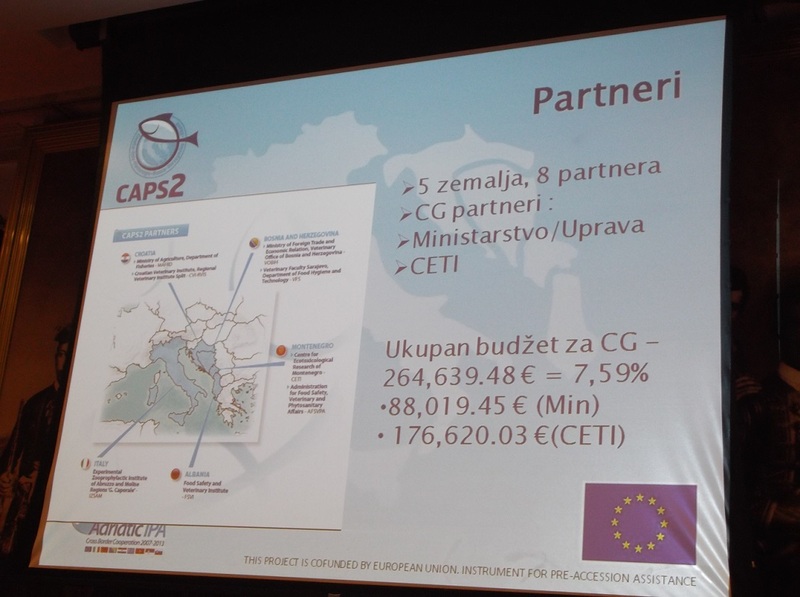 Main results of the project are better professional and technical qualifications of institutions in Montenegro for intervention in the case of sea pollution from oil, and which is particularly important strengthened inter-institutional cooperation. 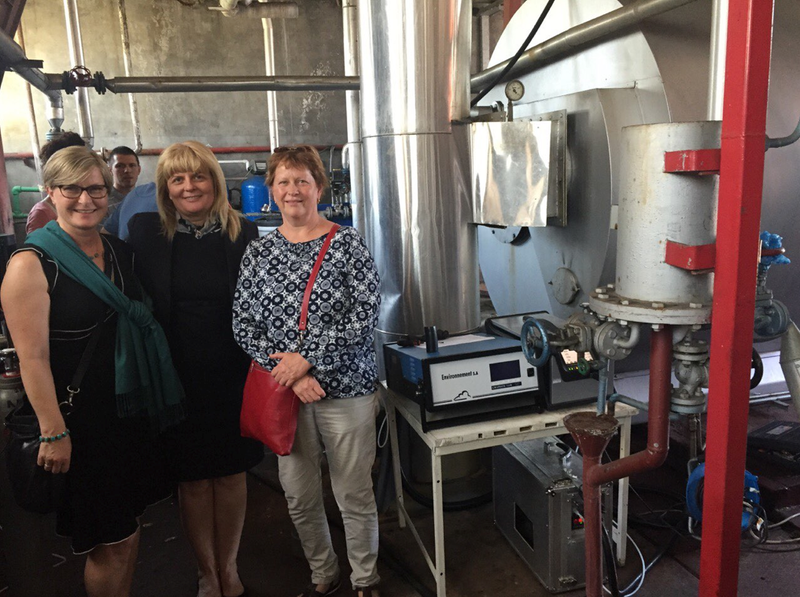 Executive Director Nada Medenica thanked donator, Ministry of foreign affairs, Kingdom of Norway for understanding the needs of Montenegro and countries institutions in resolving problems in the area of environment and for the second time given confidence to Center for ecotoxicological research. She also expressed gratitude towards partners for quality cooperation and successfully completed activities of the project with desire that this project may be basis for future projects and future cooperation in the area of protection of the sea from pollution. 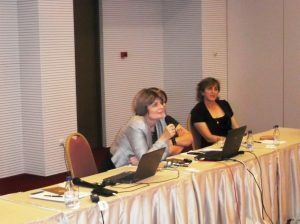 Center for ecotoxicological research hosted a expert visit of GIZ representatives, within project CSBL regarding preservation of biodiversity of Skadar lake. 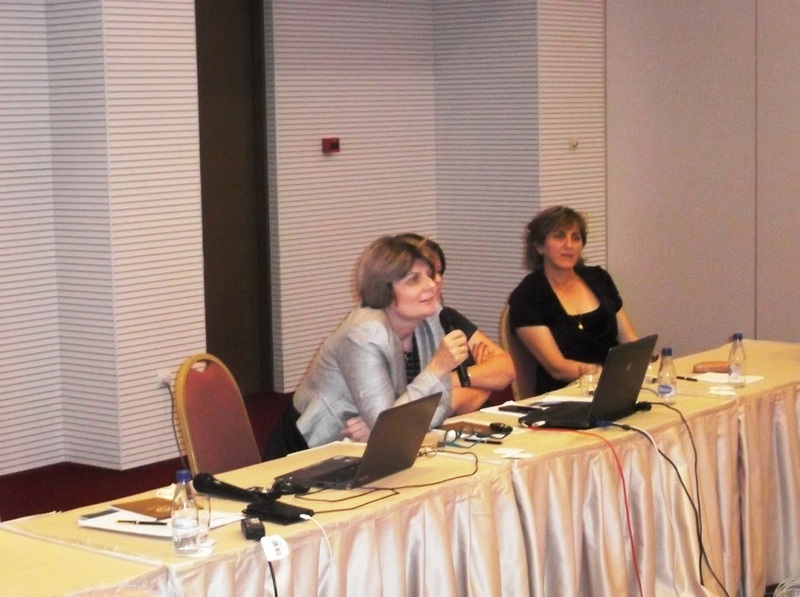 Mr. Nicolaus Fleischmann, expert for priority hazard supstances in surface waters, sediment and biota of Skadar lake, and ms. Jelena Perunicic project manager are representatives from GIZ. GIZ expert Mr. Nicolaus Fleischmann was in a two day visit in Montenegro with aim to meet all accredited laboratories in order to analyse their capacities, and with all institutions and individuals which carried out so far researches of priority hazard supstances in surface waters, sediment and/or biota of Skadar lake. Mr. Fleischmann was informed about all activities of CETI, and about all research of surface waters and sediment which were carried out by CETI. He also visited Laboratory and expressed very positive opinion about expert and technical capacities of CETI. It was agreed that CETI will send all previous research results regarding surface waters and sediment, that are relevant to this project. Delegation from Kingdom of Norway embassy visited CETI with aim to follow up on implementation of projects which are financed through bilateral cooperation between Kingdom of Norway and Montenegro. Delegation was lead by Mari Timenes Nordmo with colleagues Nela Jović and Sondre Hansen Eriksen. 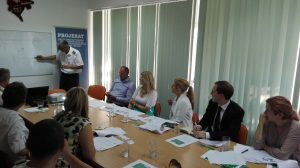 Representatives from embassy were informed about activities and results of the project “Capacity strengthening in Montenegro in the event of incidents at sea”, whose implementation is finishing soon. Also meeting attended representatives from Ministry of economy, Ministry of transportation and maritime (Directorate for maritime transportation and Maritime Safety Administration) and Environmental Protection Agency which are counterparts in the project. The final workshop of the project “CAPS2- Strengthening Centers for Aquaculture production and Safety surveillance in Adriatic Cross-border Countries “(2nd. 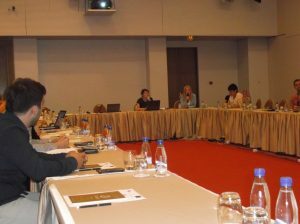 Ord./0216), co-funded by the European Union under the Cross Border Cooperation Program 2007-2013 IPA Adriatic Cross Border cooperation, took place in hotel Splendid, Becici on 21 June 2016. Main topic of the workshop was “Safety and surveillance in the aquaculture sector: results and plans”, and goal was to present activities and results of project to all interested participants in Montenegro, and to encourage ideas about future initiatives between all interested sides in this sector. Significant role in this workshop had Center for ecotoxicological research ahead with director of Laboratory Danijela Sukovic, who presented main activities of the project along with laboratory tests that were undertaken during the project. Based on the testing results there will be classification of the production area in categories in Boka kotorska bay. Organizer of the workshop was Ministry of Agriculture and Rural Development and Veterinary directorate. 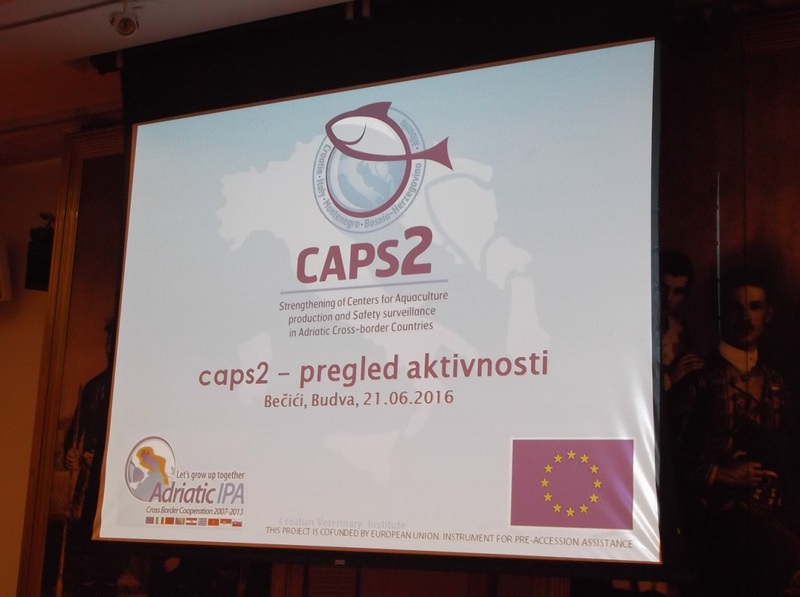 Also presentations were held by Specialist veterinary laboratory, Institute for marine biology and Croatian veterinary institute Split. Producers from aquaculture sector were also present, and they brought up their suggestions and comments aiming to improve their capacities in the future. There is a need to continue dialogue between competent state services and producers with aim to define needs and possibilities for improving safety of aquaculture sector.